LEESBURG, VA (November 17, 2017) – TMC Global Professional Services (TMC) completed a task order under a prime Department of Defense contract focused on countering narcotics trafficking and terrorism. This task order’s scope included delivering specialized hardware and software to aid Mexican authorities combatting narcotics trafficking. TMC procured the hardware and software and staged the equipment at TMC’s Virginia facility. After government inspection, TMC employees delivered and installed the equipment to Mexico. TMC installed this equipment at several Mexican bases located throughout the country in close coordination with senior Mexican military officials. TMC adapted to a modified delivery and installation schedule after the 7.1 magnitude Puebla earthquake struck central Mexico in September causing thousands of casualties. TMC has been supporting the United States’ efforts to combat narcotics trafficking globally for almost 10 years. The completion of this task order demonstrates TMC’s ability, aptitude, and commitment to support the United States and its allies as we combat illicit narcotics trafficking around the world. 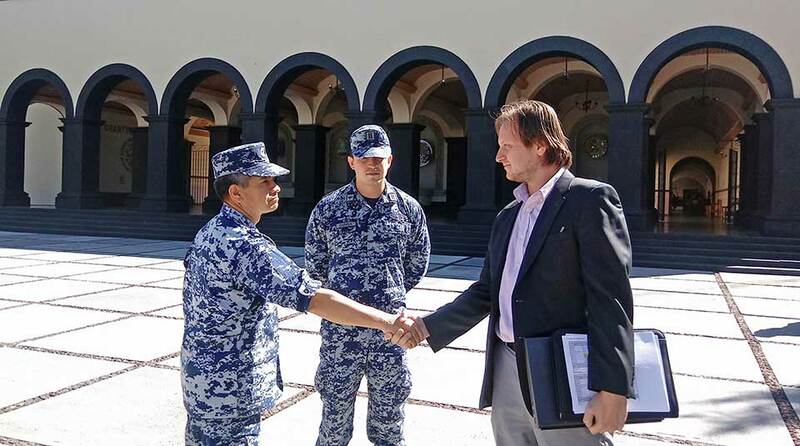 TMC has delivered equipment, training, and facilities construction to several countries globally in support of the U.S. Government’s counter-narcotics efforts including Mexico, Kazakhstan, Kyrgyzstan, Pakistan, Tajikistan, and Uzbekistan. TMC was recently awarded additional task orders under this contract for both logistics and construction activities in Mexico, Kazakhstan, and Tajikistan.